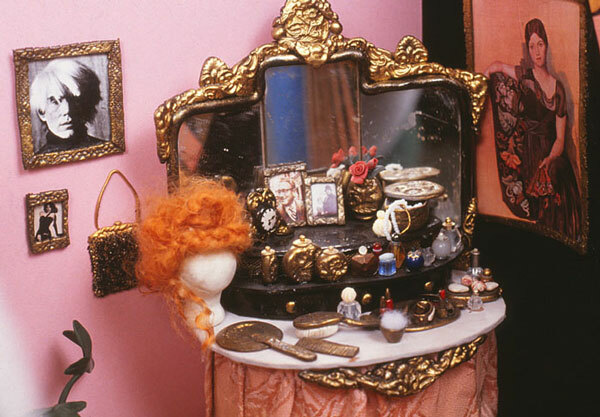 Discover how to make a miniature vanity set that includes a tray, comb, brush, hand mirror, powder & puff, nail polish, nail file & buffer, blush compact, lipstick, several perfume bottles, and bracelets for your fashion doll! Here is a nine page PDF document that details how to do it. 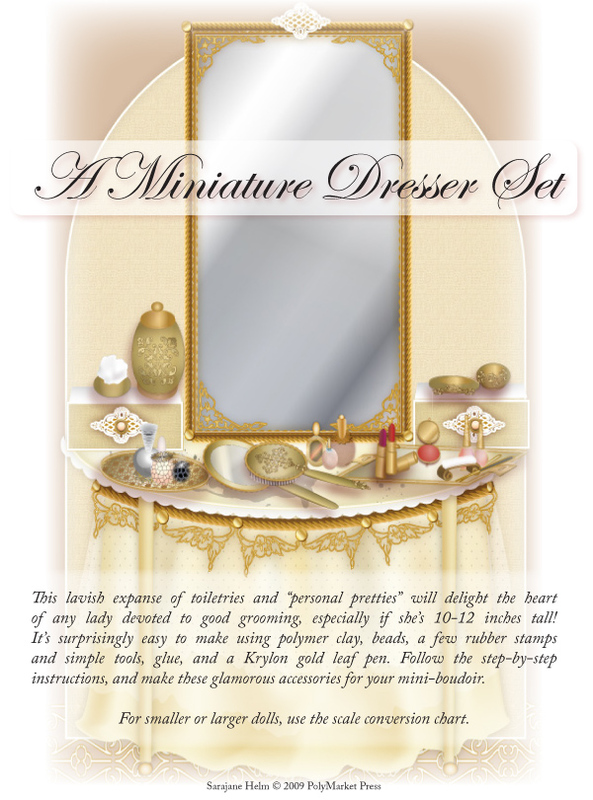 The scale conversion chart included makes it easy to create this set for any size dolls. With original, easy to follow instructions written by Sarajane Helm and lavishly illustrated with vector graphic images created using Adobe Illustrator. 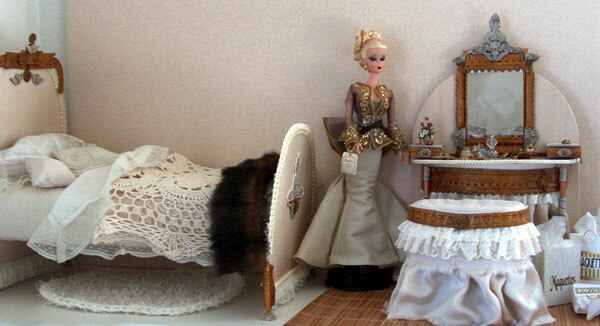 Create this set for your favorite doll! 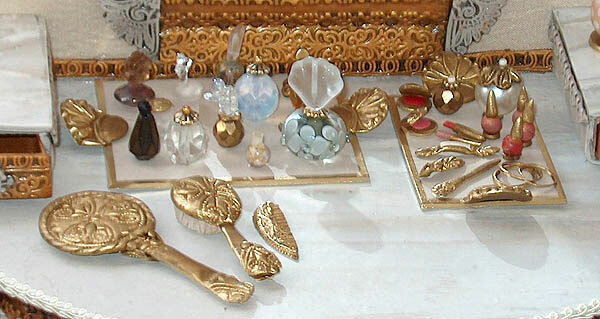 Thumbnail versions of each page are shown here. A link to the PDF will be emailed to you after purchase. The file can be read with Adobe Acrobat Reader, a free download, or printed if you choose.